Join the Women On The Wall​ team and sign the petition to let Texas U.S. 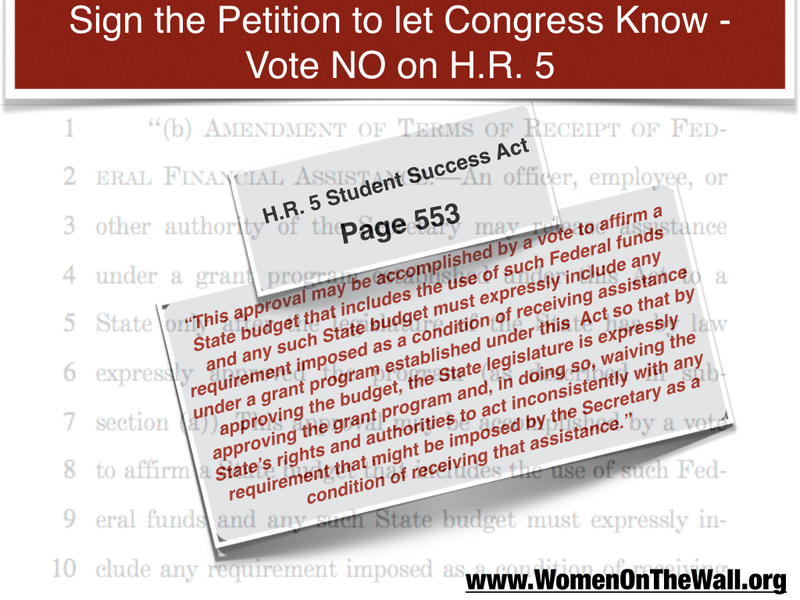 Representatives know – Vote NO on HR5. The battle against HR5 starts up again Monday March 2nd in Washington. Time is of the essence to let our Texas US House of Representatives know we want them to represent us. Sign the petition and then call their office and let them know you signed. This entry was posted in Education News and tagged ESEA, HR 5, NCLB by Alice. Bookmark the permalink. Alice is a true champion for the anti common core issue. A awesome person and a tireless activist. Together Stephen Elam we are powerful!! Thank you for your service to our great nation and for continuing to stand up for truth! !